Learning to tell time can be difficult for children who see more digital clocks than analog ones. 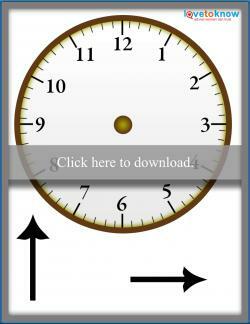 Fortunately, many tools exist, like printable clock faces, that can help you teach children how to read a clock. Use the fun activities and games to help your kids learn how to tell time. 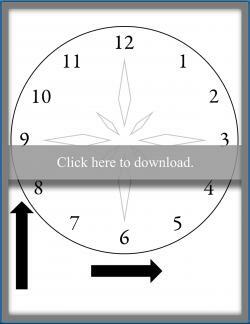 Teachers and parents alike can use a printable clock face for kids. With two different style options available, you can either draw in pencil on it, or laminate it and then use dry erase markers with it. Attach the minute and hour hands with brads can be helpful as well. The second printable is also available without numbers to add more of a challenge. If you need help downloading the printable, check out these helpful tips. Click to print this clock face. Telling time on an analog clock is difficult for digital children. Not only do they have a hard time understanding the concept of the hour and minute hand, but it can be difficult for them to understand how the minute hand works. 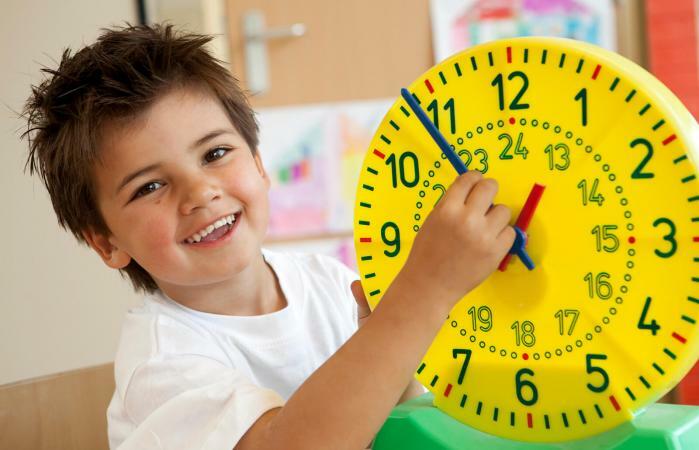 However, there are several games and classroom activities that you can play with children to help them to understand how to use an analog clock. Have kids draw on them with pencil, dry erase marker or put brads in the middle to add clock hands for the activities. Additionally, many of these activities can build off one another. Great for preschoolers and kindergartners, this allows them to play with the hands of a clock. Either clock face printable will work. Using brads add hands to the clock. Allow kids to play with the hour hand and the minute hand. Give them an hour, show them how to move the hour hand. Give them a minute, show them how to move the minute hand. Point out how the hour hand is smaller than the minute hand. Allow them to play with different times. This activity is good for K-2 graders. It is especially helpful if you are working on counting by 5's. This activity will work with either clock face. Give the child a clock face. Count together by 5's all the way to 60. Using the clock face, count by 5's again but add the numbers. For example, 5 by the 1, 10 by the 2, etc. Either draw or use the brads on the clock face to show 1:30. Have the kids tell you what the time is. Give several other examples in multiples of five: 2:45, 3:15, 4:05, etc. Another simple way to introduce preschoolers and kindergarteners to analog clocks is by looking at quarter hours. The clock face without the individual second lines might work best for this activity. Make observations about the placement of the hands and the times. Say several different quarter hours (1:45, 5:15, 12:30, etc.). Draw them on the clocks together. The activity will work best with the first printable with the second marks. It works for K-2. Talk about the individual seconds between the numbers. Show kids how to count by 5's then count by individual seconds to find time. For example, show a time on the clock like 11:33. Show how to count by 5's to 30 then count the individual seconds. Use the printable to demonstrate more times (5:52, 7:23, etc.). 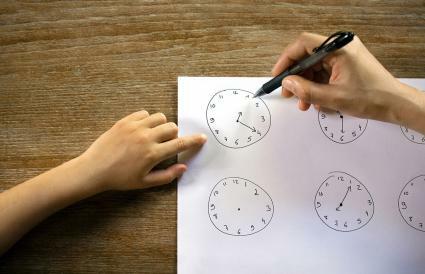 Let kids practice by telling them times and having them show you the time on their own printable. This is a great group activity. Use the clock without minute marks to make it more challenging. Great for groups of 4 or more. The first group to move or draw the hands on their printable correct gets a point. The first to ten points wins. This is a great activity for kids that have a good handle on telling time. Use the second printable to add more of a challenge. Ask when a child goes to bed, gets up, brushes their teeth, plays video games, does homework, etc. Have them show you the times with their printable. Teaching time is a fundamental skill for children to learn, and yet sometimes it takes time before kids fully master the concepts. Work on counting to sixty consistently, as well as counting by fives. Start by teaching whole hours. Once your child has mastered that, move onto half-hours, showing that the reason it is a 'half-hour', is because the minute hand moves halfway around the clock. After this, teach quarter hours and then minutes. Keep your expressions uniform by always saying the time as it is read - "5:15" or "12:30" - instead of varying between "5:15" and "quarter past five" or 'half past twelve." Alternate between pointing out the time on the real clock, manipulating the time hands on a clock face, and asking your child to manipulate the hands or to tell you what time it is. In this way, you integrate modeling and hands-on practice. Work on actively associating digital time with analog time. For example, if you ask your child to set his clock hands to a specific time, ask him what that time would look like on a digital clock. As your children becomes more adept at telling time and counting, you can use the clock to manage your household activities. Delegate time management to a child (for example "can you let Mommy know when it's 3:15, please? It's very important because then we have to leave to pick Johnny up at school.") These kinds of activities promote confidence. If your child develops an appreciation for time and clocks, you might even introduce the concept of daylight savings time and changing the clocks, or the fact that across the world, it's not the same time everywhere. Telling time has many educational extensions, making it not only a practical skill, but also an intellectual one for developing minds. Check out other activities like Activities for Kids on Humility and Character Building for Kids to keep the fun going.